Perched on a peak minutes from downtown Camden, a finely crafted home offers panoramic views from Matinicus Island to Isle au Haut. The Fernalds moved to the midcoast after purchasing Down East magazine in 1977. 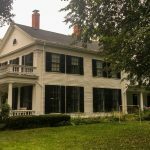 They lived with their three children in a rambling, 1900s-era former summerhouse in Rockport for a decade before searching for a more moderately sized, “less drafty” home, says Sally. 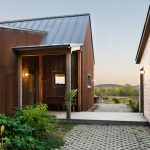 Captivated by the raw beauty of the Bald Mountain property, they hired Camden architect Christian Fasoldt and Belfast-based Cold Mountain Builders to design and construct a building that sympathized with the land. Echoes of Frank Lloyd Wright are apparent in the exterior’s broad horizontal lines, which deemphasize its height, and deep roof overhangs that allow light to stream in during the chilly months, when the sun is lower, and provide shade in the summer. Fasoldt was also influenced by the staggered rectangular volumes seen in modern Japanese architecture, which help nestle the home into the sloping ledge. 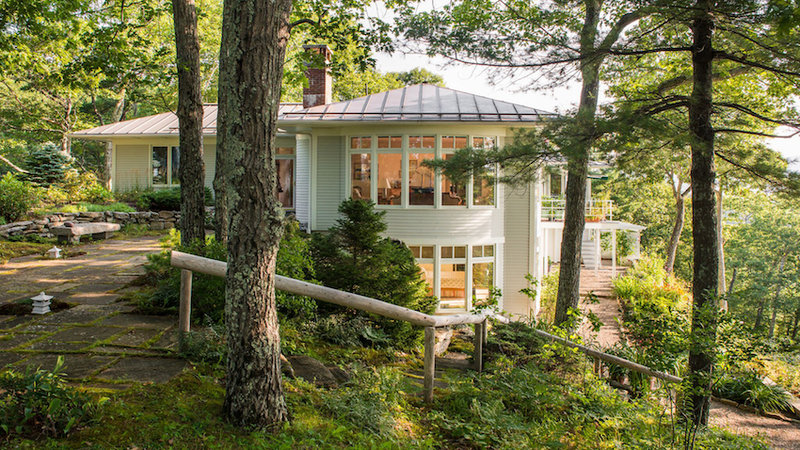 Inside, sweeping mountain and water views in the expansive, second-floor living area, newly renovated kitchen, and cozy sunroom are juxtaposed with intimate forest and garden scenes visible in the rear library and lower-level rooms. 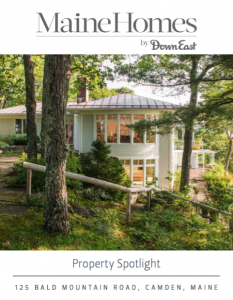 From every vantage point, you are hard-pressed to spot another house, thanks to Fasoldt’s thoughtful siting and the Fernalds’ 2005 gift of 86 acres at the summit of Bald Mountain to the Coastal Mountains Land Trust. Still, there’s plenty of activity: Allen has counted 30 species of birds on the property and identified a clearing, discernible through the kitchen windows, where deer like to sun themselves on winter mornings. “We’ve been so fortunate to live here with the wildlife, the beautiful views, beautiful gardens, and the solitude,” says Sally, hitting on a shortlist of qualities Down East readers have long prized. Get the free Property Spotlight for this home! GREW UP IN ROCKLAND . LIVED IN AUBURN. 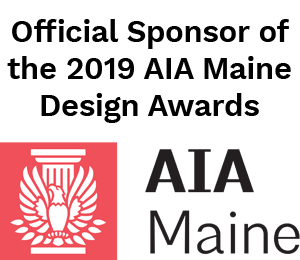 LIVED IN MAINE FOR 20 YEARS. NOW RESIDENT IN LAS VEGAS NEVADA. MISS MAINE. Hi Vince, sorry for the delayed response. I hope you can come home to Maine! Scott Horty of Camden Real Estate can help. 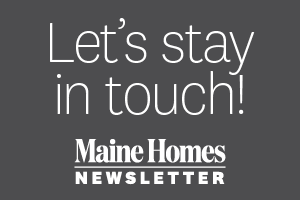 You can reach him here: https://mainehomes.com/property/125-bald-mtn-rd-camden/ — there’s a contact form at the bottom of the page.